No one wants to find themselves in the position of needing to call a towing company in Las Vegas yet many do. Few things are as stressful and daunting as finding yourself stranded after an accident or another incident, especially if you’re running late for work or picking up the kids and you have no one to call for help. Fast towing in Las Vegas offers an important lifeline, giving you somewhere to turn when you’re dealing with serious car problems and need to get home or get your car to a mechanic. What you may not know is your local tow truck company in Las Vegas can provide a range of services. Along with towing your car, a towing company can deliver fuel, change a flat tire, solve a car lockout situation, and more. 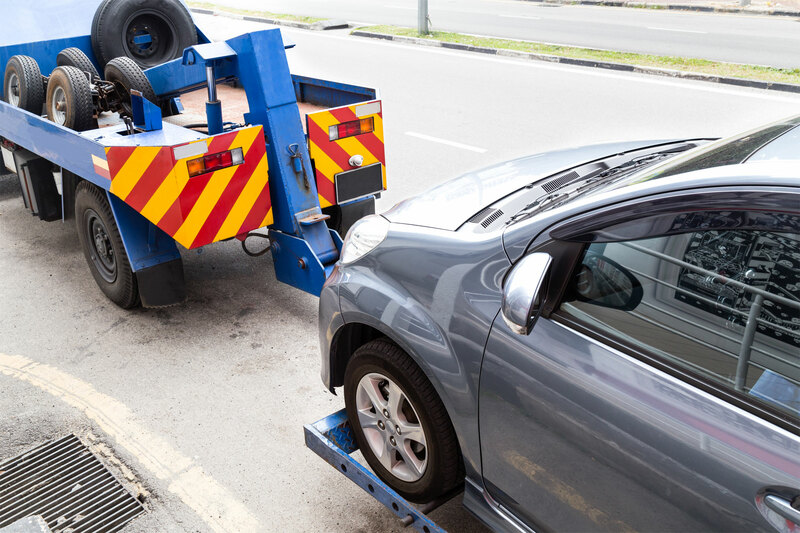 Here are the top reasons motorists call for car towing service and what you can expect. Your car can overheat for many reasons, including a leak in the water pump, hose, or radiator or a bad fan belt. When your engine overheats and shuts off, you will find yourself stuck. Adding antifreeze or, if you don’t have any, some water can temporarily cool off your engine and allow you to keep driving but it isn’t a sure-fire strategy. If you can’t get your car moving again, you’ll need to call a tow truck company for help towing your car to a mechanic. Running out of gas can be embarrassing but it can happen to anyone, especially when you’re driving a long stretch of highway between gas stations or you have a broken fuel gauge. When you’re stranded miles away from a gas station, call your local towing company in Las Vegas for help. The good news is you don’t need to have your car towed. Towing companies like Isabella’s Towing can deliver a couple of gallons of fuel to you to get you back on the road and to the nearest gas station for a fill up. When your car is experiencing transmission issues, it’s important to have them addressed right away. Driving with problems like a slipping transmission, delayed engagement, or fluid leaks can be dangerous and turn a small issue into a major repair bill or even an entire transmission replacement. If you experience serious transmission problems while on the road and don’t feel safe to continue driving, you may need to call a tow truck to take your car to a nearby mechanic. There’s nothing as stressful and frightening as getting into a collision. You may be left rattled, stranded, and unsure of what to do. Unless the accident was minor and your car is safe to drive, the best course of action is calling a tow truck to take your car to a body shop. Accidentally locked your keys in the car? Don’t make the mistake of trying to open the lock yourself or even breaking a window to get in. A quick call to a local towing company with roadside assistance can put you back on the road in no time without damage to your car. Driving into a ditch is more common than you may think. Sometimes it’s the result of poor lighting conditions but it can also be due to slick road conditions, an accident, or a near-miss. Fast towing in Las Vegas can get your car out of the ditch and back on the road, if it’s driveable, or to a mechanic for repairs. Whether you left a light on, your car wouldn’t start on a very hot day, or you have a starter that’s going bad, a quick call to a towing company with roadside assistance can usually get you back on the road in just a few minutes with a jump start. Even new tires can go flat, leaving you stuck by the side of the road with nowhere to go. If your tire has gone flat, you don’t necessarily need to have your car towed. Roadside assistance from your local towing company in Las Vegas can put your spare tire on or inflate your tire in most cases so you can drive to a tire shop for a replacement tire. Isabella's Towing Company is a professional, reliable and affordable towing service in Las Vegas, NV. We are proud to be considered the number one tow truck company in Nevada for many years in a row. If you need a tow truck now, do not hesitate to give us a call.